EghtesadOnline: If US President Donald Trump opts to pull out of the nuclear deal with Iran, Germany’s business sector is likely to suffer. But even without the threats from Washington, Berlin’s trade with Tehran lacks momentum, Germany’s public international broadcaster Deutsche Welle reported. 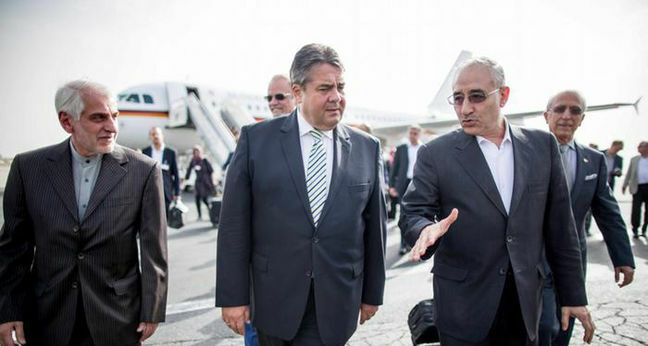 Just days after concluding the nuclear deal with Iran in the summer of 2015, then-German economy minister, Sigmar Gabriel, visited the country with a delegation of senior business and industry representatives, hoping to jumpstart German-Iranian economic relations. His Iranian partners were delighted, and at the time the oil, energy and industry ministers gushed about the prospects of joint economic projects. The country was expected to need massive investment over the next decade and German manufacturers from the automobile to the pharmaceutical industries all hoped for a big piece of the cake, according to Financial Tribune. Three years later and there has yet to be that predicted economic boom. While German-Iranian trade has in fact intensified, it has done so on a comparatively modest level. In 2015, Eric Schweitzer, president of the Association of German Chambers of Commerce and Industry (DIHK), predicted annual trade volumes of up to €10 billion ($12 billion) within just a few years. The true figure two years later was €3.5 billion, a relatively modest increase from the €2.7 billion in trade in 2014, a year before the nuclear agreement, when the country was still crippled by sanctions. The deal undoubtedly helped facilitate trade with Iran, which can once again export oil and gas to the European Union and import European airplanes and other products. German banks can also finance bilateral trade with loans.But doing business with Iran remains explosive territory and financing major projects in particular is a concern for German industry. “The big banks are still not prepared to touch the Iran business,” says Michael Tockuss, managing director of the German Iranian Chamber of Commerce. Mainly, trade sanctions imposed by the US and not lifted by President Donald Trump’s predecessor, Barack Obama, are to blame. For German banks active on the US market, financing deals with Iran carries the risk of hefty fines. Commerzbank, for instance, paid $1.45 billion to the US in 2014 for violating Washington’s sanctions; France’s Paribas paid $9 billion. Little wonder that practically all major German banks shy away from similar deals. Savings banks, credit unions and the European-Iranian Trade Bank have fewer problems, but are only in demand for smaller projects. Disillusioned, DIHK has had to concede that the “big push never came”. During the 1970s, prior to the fear of trouble with US authorities, Iran was Germany’s second-largest trading partner outside of Europe. Conversely, Germany was Iran’s most important trading partner before the embargo. Today, China is Iran’s number one supplier. Even during the embargo, Beijing bought large amounts of oil. Other European nations, too, are leaving German industry behind in their wake. After the nuclear agreement eased trade restrictions, German automobile manufacturers increased their presence in Iran, but other firms are raking in the big bucks. Almost half of the more than 1.5 million cars produced in Iran were made by either Peugeot or Renault. The French carmakers have large Iranian companies produce their automobiles in the framework of a deal Paris signed with Tehran. That’s the kind of support German industry would like to fall back on, as well. When Trump announces his decision May 12 on whether or not to reinstate economic sanctions against Iran, not much will change for German industry, even if the US president opts to increase economic restrictions. Initially, Trump won’t be deciding on Iran’s nuclear program, but rather on sanctions regarding oil deals. Foreign banks and companies that buy oil via the central bank in Tehran would again face US fines, a provision that already applies to US banks. Iranian oil exports to the EU would be endangered. But even after boosting trade ties, one-fourth of Iranian oil mainly goes to China and India. Trump’s announcement later this month may turn out to be no more than a pinprick.Tightened US regulations, probably with quite a few exceptions, would not immediately put an end to Iran’s nuclear program, nor would it challenge the steadily intensifying German-Iranian economic cooperation in one fell swoop. However, trade with Iran would again be marked by increased insecurity and that is poison for economic recovery.